This season on Arrow, fans were introduced to Ray Palmer, the genius inventor who bought Queen Consolidated and relabeled it Palmer Technologies. While he’s mostly been kept away from the main story lines outside of his interactions with Felicity, it’s obvious that Ray is being set up for something big. First there was his initiative to rebrand Starling City as Star City. Then we caught him looking at a holographic projection of a red and blue exoskeleton. Finally, in the midseason finale, he revealed his motives to Felicity: he wants to use the “A.T.O.M. (Advanced Technology Operating Mechanism) suit” to protect the citizens of Starling City. 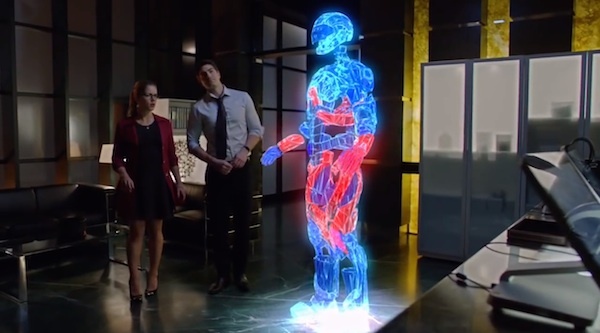 Comic book fans are familiar with Ray’s superhero career as The Atom, and if the events mentioned are any indication, Ray Palmer will not only be crucial to the rest of the season, but the entire series overall. For those not familiar with the comic book version of the character, Ray fights crime using a belt that harnesses the power of a dwarf star remnant, allowing him not only to shrink but also manipulate his weight. While the shrinking applications are probably going to be more complicated on Arrow, it looks as if Ray is heading in the same direction, although he also mentioned shrinking other military technology as well. This will come in handy against the main antagonist this season: Ra’s al Ghul. It’s going to take more than brute force to defeat the League of Assassins leader. Oliver tried that in “The Climb,” and that ended with him getting stabbed and kicked off a cliff. What Oliver and Team Arrow need is ingenuity and outside-the-box thinking to take him down. That’s where Ray comes in. His inventions will somehow give them an edge against the League of Assassins leader and their forces. I can picture a scenario where Oliver has another meeting with Ra’s and manages to sneak a miniaturized weapon to use against him given to him by Ray. Or, if they really wanted to kick things up a notch, Oliver could actually sneak Ray in, and the witty genius could assist him in fighting the other assassins. Granted, Ray’s fighting skills aren’t great, but the A.T.O.M. suit and Queen Consolidated weapons should help out. Ray has already endured tragedy from one Starling City invasion, so if he has the opportunity to stop the League of Assassins (or another group of villains) from causing more damage, he’ll spring into action. The Felicity love triangle won’t prevent him from helping out the Starling City vigilante. At the very least, it’s likely Ray will discover Oliver’s secret identity and become an unofficial member of Team Arrow by the end of the season. Beyond Season 3 though, Ray can continue to be an important presence on Arrow. Unless the show promotes Brandon Routh to the main cast, we wouldn’t be able to see Ray too often, but assuming he’s still using the A.T.O.M. suit to fight crime in Starling City or somewhere else, he and Oliver can keep teaming up. Aside from Arsenal and the Canaries (Sara and Laurel), there haven’t been many vigilantes in Starling City who are on the up-and-up, so including Ray on that list would be a good move. However, just imagine Ray putting his creativity to work improving the team’s equipment. Oliver already has several trick arrows at his disposal, but just imagine how Ray could improve them, specifically by packing miniaturized weapons and devices into the arrowheads. If the show is looking for a Cisco Ramon-type character, Ray Palmer is definitely the guy to fill that vacancy. Whether it’s as a superhero ally or a gadget making brainiac, Ray is surely being set up for big things on Arrow. 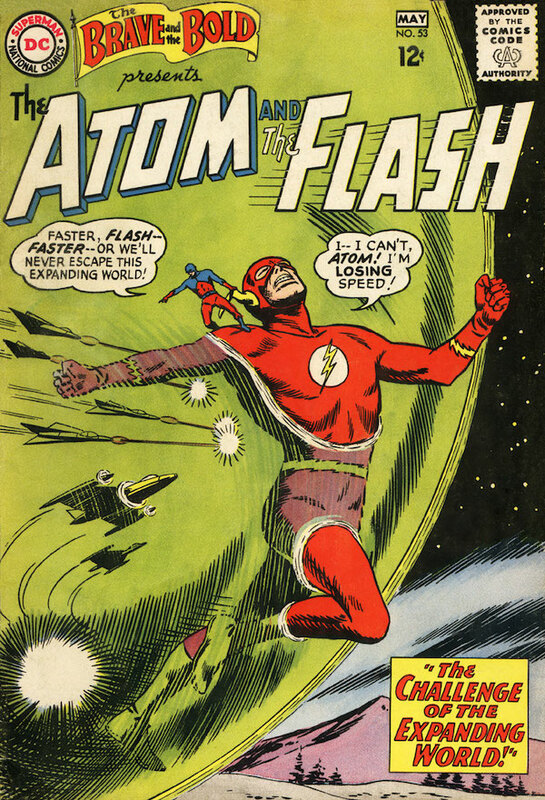 Oh, and here’s hoping that we also get Ray to visit The Flash at some point, even if it’s just to replicate this cover. Seriously, wouldn’t that be amazing?